mcmaster and storm: Valentine's Day. 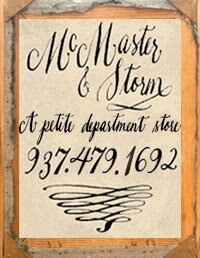 McMaster & Storm is focusing on a vintage inspired Valentine's day. The store is being redecorated and rearranged. We will be featuring Amy Butler fabric and patterns (http://amybutlerdesign.com), and products from French General (http://frenchgeneral.com). shop to shop is because K&D are such sweethearts-AND the gift wrapping is my fav!!!!!! Thanks for the compliment! That keeps us inspired. BTW we have yummy tissue in pink hues ready to wrap gifts for your sweetie and friends. Did we mention we love Valentine's Day it's so refreshing after the busy holidays. as shopping downtown greenville the other afternoon i came across a new place that, i honestly couldn't believe my eyes, someone is trying hard to mimic my favorite store! I guess some people can't dare to do thier own style. sad but true. it appalls me to see people copy so direct,(so much of what makes your store so different that NO one else does its the very obvious things too!) and especially so drastically close. keep your spirits high girls, my friends and i have discussed it and we see it, WOW do we see it. sorry for your sakes. keep doing your thing , you know i dont see any of the other retails going this route, stability? French General's Book by Kaari Meng is here! 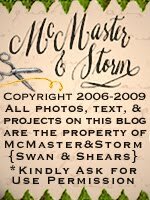 McMaster & Storm; some history. A new year in the Midwest.